Exciting news! 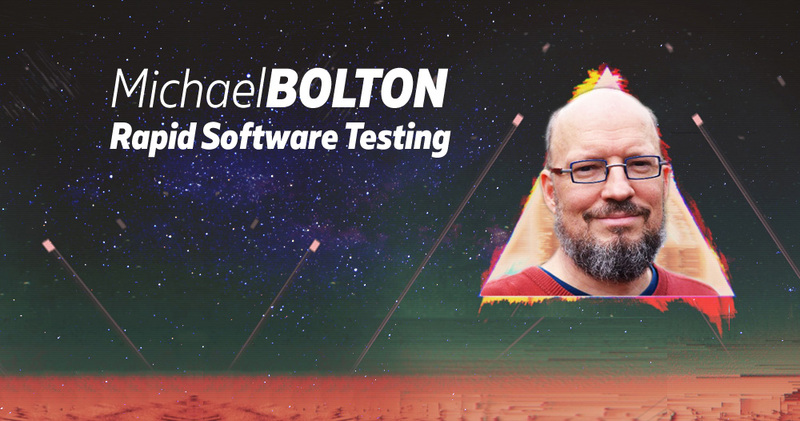 Michael Bolton – a Rapid Software Testing guru is coming to Poland! He will run a 3-day hands-on Rapid Software Testing course before TestingCup (on May 23-25). This training has been praised by testers all over the world and it will be the first ever RST public class in Poland. Are you a tester interested in learning skills and approaches that will help you to become a better tester? Are you a developer (or a team of developers) who would like to sharpen your testing skills? Are you struggling to determine the role of testers and testing in an Agile team, or in a DevOps context? Are you finding it difficult to get the time or resources or attention you need need to test effectively? Are you working in an environment where some people aren’t following “the rules”? Or following them too closely for comfort? Would you like to connect—or reconnect—with your passion for learning and discovering problems in order to help defend the value of your organization’s products and services? Rapid Software Testing addresses these issues and more. Michael is aligned with the Context-Driven School of Software Testing, a community of people who believe that testing should respond first and foremost to the needs of the organization and the project, rather than to “best practices” that may not be best at all in the given context. You can read more about these ideas here. Learn more about the Rapid Software Testing course. Costs per participant: early bird price (till 31/01/2018) PLN 4000, regular price PLN 4500 (includes 3-day class, coffee breaks and lunches, excl. VAT). If you register before 31/12/2017 you will receive a free copy of a classic book “Lessons Learned in Software Testing: A Context-Driven Approach” by Cem Kaner, James Bach and Bret Pettichord. If you have any additional questions, please contact Joanna Moćko: joanna.mocko@testingcup.pl.